Since introduced in 1951, its outstanding design and practical functionality meant that the Luxaflex® Venetian Blind quickly became the ‘must-have’ window covering. Compliment your current style – or create a whole new look for your windows with the most inspiring choices and new designs from classic to contemporary. Made with highly resilient aluminium slats that won’t lose their shape, our Venetian Blinds have a built in “bounce back” feature. Venetian Blinds are made out of 98% recycled aluminium according to the highest standards. Venetian blinds also offer options for rooms where there’s moisture in the air. Open your Venetian Blinds from the top or from the bottom and find the balance of privacy and light. 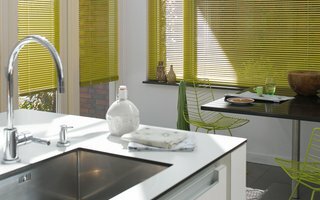 Luxaflex® Venetian Blinds can effortlessly cover nearly any window shape. Making products safer for homes is an integral part of our design philosophy. Our clever motorised systems give you complete control of your Venetian blinds. Luxaflex® Venetian Blinds are made from 98% recycled Aluminium which is naturally moisture resistant making them the perfect candidate for bathrooms, kitchen and areas with high moisture content. With our Top-down / Bottom-up model you have the ability to operate your blind from the top down, the bottom up, or in combination of the two. Quite literally the best of both worlds—natural light and privacy all in one. Subscribe to our newsletter and be the first to know about our newest products, inspiration and special offers. Our dazzling colour range includes vivid primaries, soft pastels, plush tones and super hip retro shades. Browse our fabrics and see how they could look in your home. Visit your local Luxaflex® showroom to view the complete range. Each Luxaflex® product is individually crafted to your unique specification. 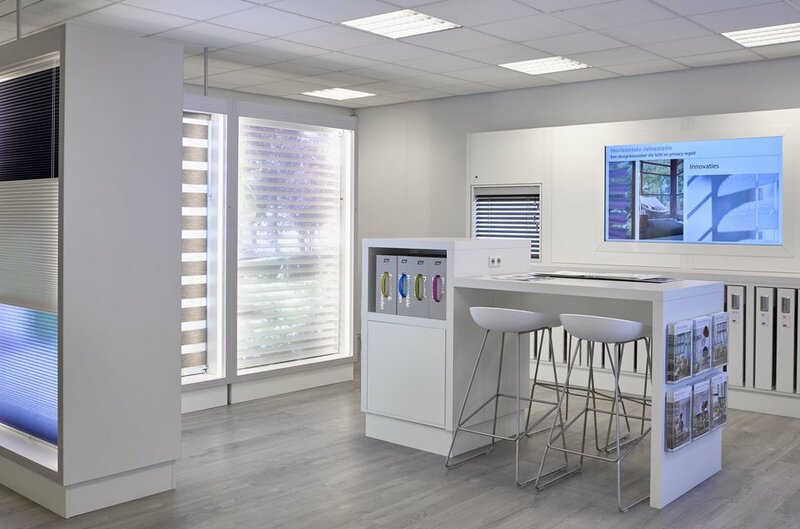 At your local Luxaflex® showroom you can decide which fabrics or finishing touches you like with the operating control you like best and then get an exact price based on your design. 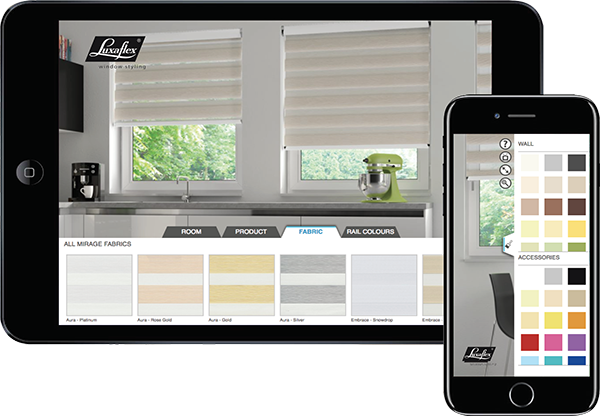 Find a local Luxaflex® showroom near you. Together with our local expert, you can look at inspiration for your room and get to know the products and materials you like. Relax and let Luxaflex® professionals do what they do best. Always knowing you’re covered under our guarantee. Enter your address details to get in touch for your made to measure window decoration.